Pecan Valley Ranch is a master-planned community located near Tyler, Texas and the City of Bullard. Pecan Valley Ranch is being developed by A. W. Hines who has developed 14,000 acres of land into home sites. Their professional land development is demonstrated by the master plan for Pecan Valley Ranch which includes large lots, a gated entrance, and a wildlife management program. Hiking trails have been created for those who love the outdoors and want to enjoy some of the area’s wildlife. The community fishing pier can provide endless hours of entertainment for those who like to fish. The lake has a large picnic area featuring grills, picnic tables and a sand volley ball court make a great recreational area for the residents to enjoy. The schools are very good and there are private schools also. Tyler, Texas , located in East Texas, is a beautiful mid-size town known as the Rose Capital of the world or its beautiful roses which adorn the city and that are produced commercially. Tyler has four medical facilities, each specializing in different areas of medical treatment. Tyler is known for its outstanding medical services. The town is home to some major corporations, but more importantly it is home to many wonderful small businesses that cater to every need. The dining options in Tyler are numerous and outstanding with something for everyone’s pallet and pocketbook. Religion plays an important part in the life of the Tyler area since it is home to nearly every denomination including two Jewish houses of prayer. Green Acres Baptist Church is the largest church. One of the Catholic churches is dedicated exclusively to the Latin Mass. The Heart of Tyler has been the revitalization of the downtown. More than $100 million has been invested in downtown Tyler since the 1980s and thousands of man-hours have also been invested. The result is the Jewel of East Texas. Tyler is one very special community, and the Pecan Valley Ranch can enjoy everything in Tyler. 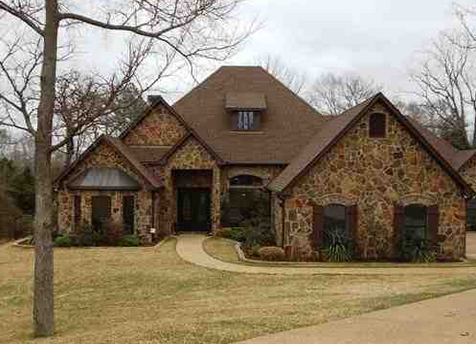 Pecan Valley symbolizes the beauty of Tyler and the classic features of the city. Pecan Valley has all of the amenities for the outdoors lover and for those who just enjoy nature. The Master Plan has been made with great care to provide space and privacy for each home. The lake is a prominent part of the Master Plan and it can be enjoyed by everyone whether you watch the sun set, or you fish, or you just enjoy the peaceful presence of water. The summer temperatures seldom exceed 94 degrees and the winter temperatures seldom dip below 40 degrees with an average high of 50 degrees. The streets wind through the property in a classic curved style with very few straight roads. There are fire hydrants every 500 feet along the roads.